Greek, Etruscan, & Roman Bronzes (MFA), no. 693; Sculpture in Stone and Bronze (MFA), p. 127 (additional published references). 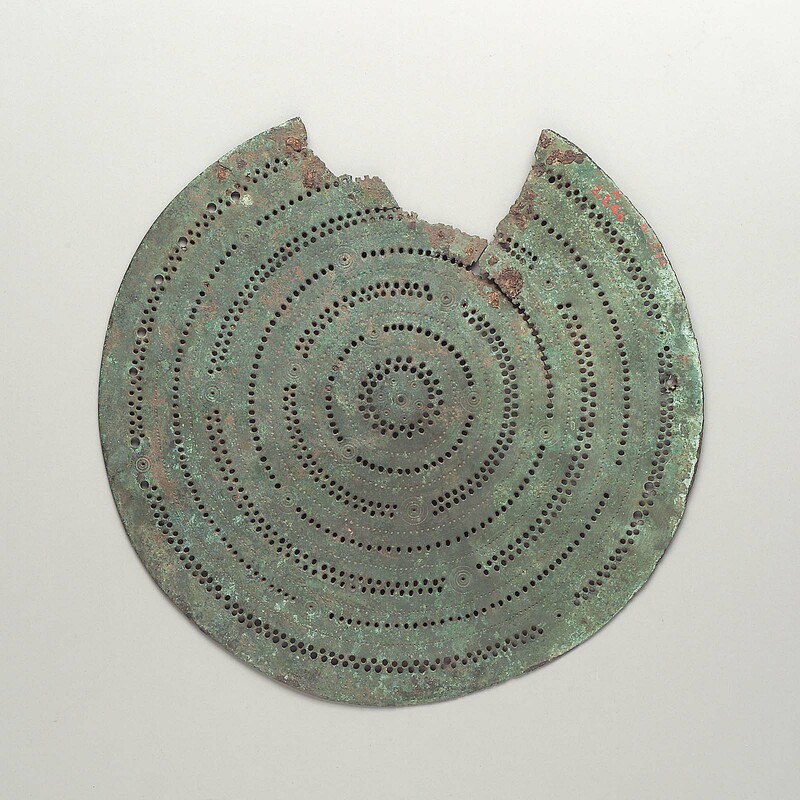 This is a shield or cuirass (or helmet) boss, with perforated and incised decoration in concentric circles. A large piece is missing from one side. Green patina.